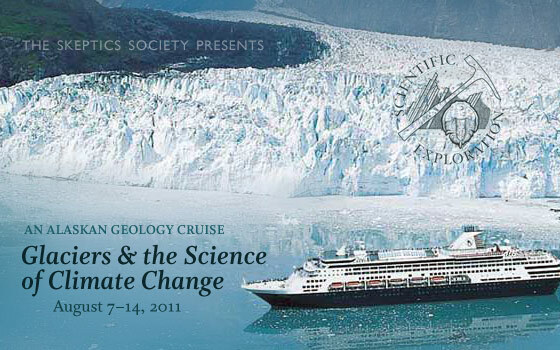 Today we left the port of Seattle to start our Skeptic Society Climate Change Alaska Cruise on board the stunning Holland America Cruise ship, the Oosterdam. Having never gone on a cruise before, we’re all wide-eyed with wonder at the services, food, and other amenities on board the ship. We took a last-minute upgrade (at a great discount) so got ourselves a nice suite with a balcony and all the perks that come with that. And, again, because we’re new at this, we took the official ship tour this afternoon. And that’s where we got our first taste of woo. As skeptics, we’re alert to these things, but it was pretty astonishing how much was put in front of us during the get-to-know-us portion of the tour — most of which was focused on the “well-being” selection of services. 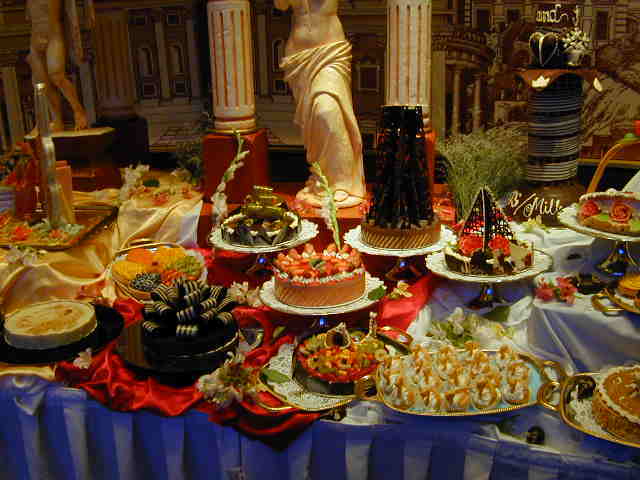 Our tour guide did point out that the average cruise-goer gains 2lbs a day, and I can see why. Food is everywhere — every deck, in the state rooms, at your fingertips in terms of room service and, of course, in all of the restaurants and lounges. Add to that the wine and beer tastings, the bars, the casino, the free movie theatre food, the cooking demonstrations (with samples) and the shore excursions that include things like a salmon bake, and it’s not unreasonable to think that a person could gain a pound or two a day. They also offer a selection of “Ionothermie” treatments using “marine based products to aid detoxification combined with galvanic and faradic stimuli” (anyone want to explain that to me? I have limited internet minutes here) which apparently aid in reducing cellulite –“guaranteed to remove inches” during your first treatment. This “treatment has other magical powers including the ability to soothe arthritic pain, improve circulation, assist your kidneys, and help with digestive disorders. Add to this aromatherapy, anti-aging “silk mask” treatments, and acupuncture, and ionothermic leg therapy, and well, you’ve got yourself a full house of dubious treatments and claims. I was honestly surprised at the number of people who signed up (paying extra) for all of these. Tomorrow, our first Skeptic Society Lectures .. will let you know how they go ..